Welcome to Ormesby Little Broad! 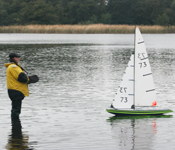 As indicated in its title this is an internationally recognised class of radio controlled yacht and enjoys well supported and highly competitive World and European Championships. 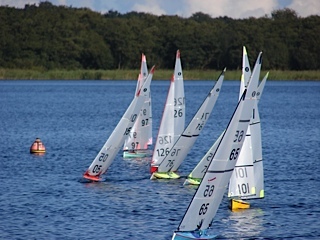 The class rules are controlled by the International One Metre – International Class Association (IOMICA). Since its inception in the late 1980’s this class has developed into the most popular, perhaps partly because the class rule is ‘closed’ with many aspects of design, materials and construction restricted to help produce close racing and keep down costs. The boats are easily transported having an overall length of one metre and are allowed only three rigs which utilise one-design sail plans. The boat has a minimum weight restriction and there are maximum and minimum restrictions for the draft and the weight of the fin and bulb. This MYA national class has recently enjoyed a resurgence in popularity and is a scaled down version of the full sized boat and is elegant and graceful on the water. It doesn’t have the long fins of the IOM and RM class boats, relying on the shape of its hull, as well as the ballast weight, for its stability and therefore provides a somewhat different sailing experience. 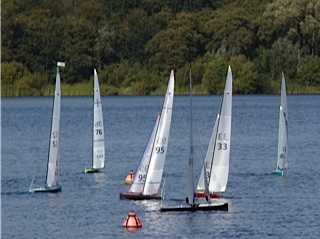 The class rules are open which allows considerable design variation and development within the measurement formula and boats constructed from wood as well as the more modern glass or carbon reinforced plastic remain competitive, as do older designs which is encouraging for those who enjoy home building. This together with the need for only one mast, a main boom and a jib boom together with one suit of sails and perhaps a smaller ‘skinny’ mainsail for heavy weather, helps make this an ideal class of boat for the more cost conscious among us. 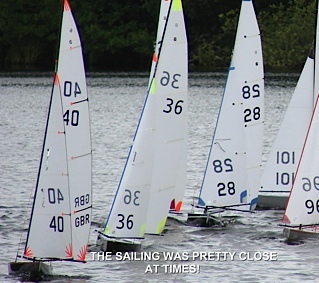 The BRYC very successfully hosted the Radio Six Metre National Championships in 2007 and 2008 and 2010. This is another internationally recognised class which enjoys international championship events. It has been in existence since the early 1930’s when it was devised by Roy Clough of the Marblehead Model Yacht Club in the USA. Roy wanted a simple formula to produce a large boat that could nevertheless be easily transported. It is understood that he measured the width of the back seat of his car, which was 50 inches (1290mm), and this became the maximum length allowed for the boat. He decided on a maximum sail area of 800 square inches (0.5161 square metres). Within these simple parameters there was great freedom of design and construction and as more modern materials such as glass reinforced plastic and then carbon fibre became available boats became lighter, narrower and much faster with longer fins and taller masts. Most post 1991 designs remain competitive and the maximum draft is now set at 700mm. The Marblehead class is often referred to as the ‘Formula One’ of radio sailing and both swing and conventional rigs can be used.